UPDATE: Project scrapped due to security risk next to US Coast Guard facility. And the residents were not thrilled about adding traffic to MacArthur Causeway. Developer seeks to purchase air rights from the city in order to add square footage and height to the project. In return, the developer will build new offices and additional parking for city sanitation trucks and parking for city employees. The commission would have to approve the sale of city land and approve a height increase. Current height limit is 50 feet, proposed height is 300 feet. Drawing of proposed development looking east. The Coast Guard gave formal objection due to security concerns. Rendering of proposed development to include a 300 ft high tower. Existing situation shows Coast Guard station on the right. 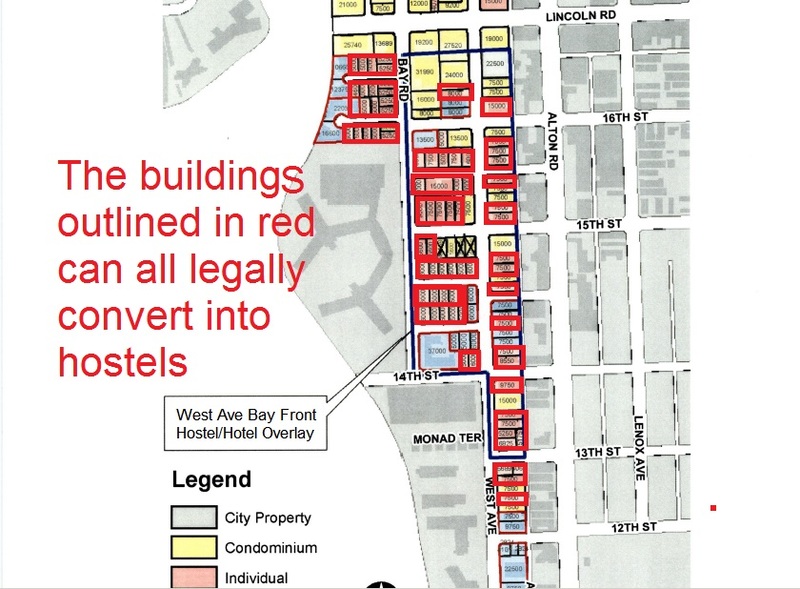 The red is developers property. The blue is city property.